Pre-reading skills and literacy are part of our scope as SLPs (speech-language pathologists). 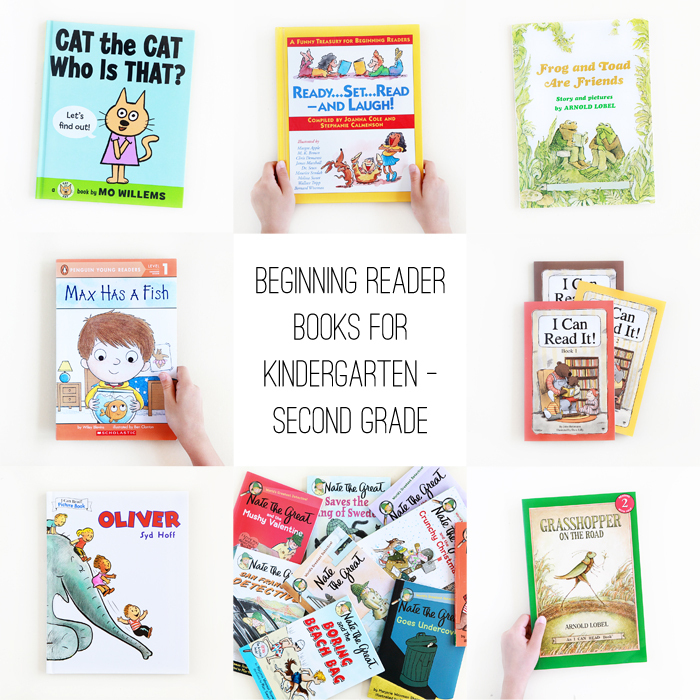 In this post, I’ll be sharing some of our favorite books for emerging readers in kindergarten, first grade and second grade. Max adores his pet fish but his hopes are dashed when he realizes that his fish does not possess the ability to dance. 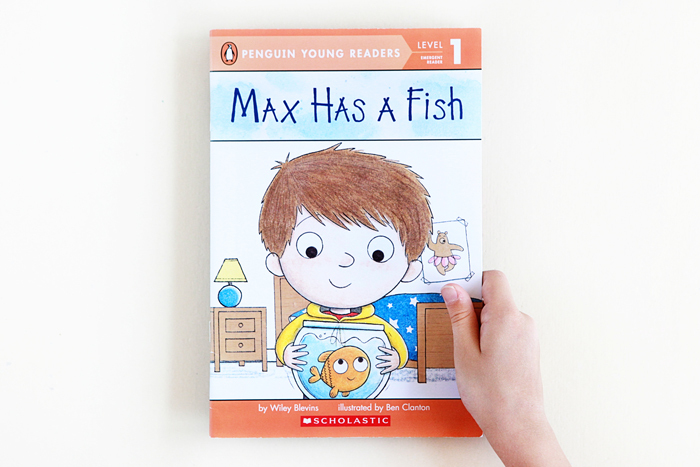 Max Has a Fish is a fun read for kindergartners and first graders learning early word families. Also check out Max Finds an Egg. In my search for early reader texts, this series has been one of my best finds. 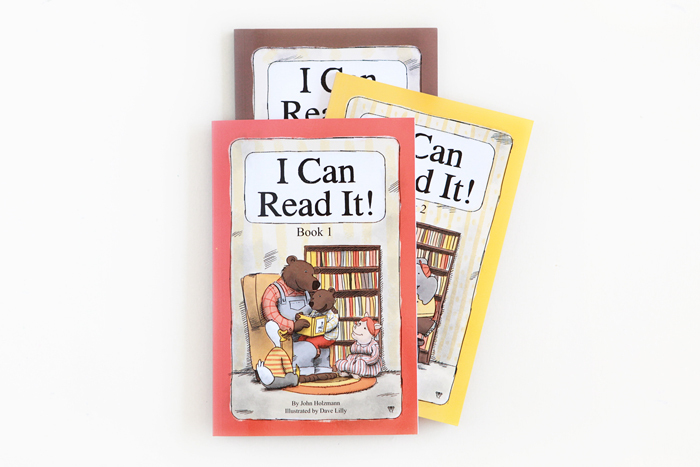 The three books in the I Can Read It! series contain collections of stories with early word families and sight words that are taught in kindergarten and first grade. The stories are substantial in length and are comprised of mostly controlled vocabulary, and are good for building reading fluency and automaticity. There’s a preview of the table of contents and some stories from the first book on Amazon but not the second or third. You can do a search on Google Images to take a look at the index in both the second and third books. There’s a fourth book in the series that contains just lists of the word patterns in each book. The Ready…Set…Read—and Laugh! treasury is a wonderful anthology of stories, poems, word games and riddles by some of our favorite children’s book authors and illustrators. The texts are high-interest, funny and engaging. While keeping in mind that there is such a wide range of reading ability at every age (and especially at the younger ages), the text readability is second grade. Recommended age levels for this treasury are 6-8. If you have a pretty good handle on your child’s reading levels, you can read a few pages of a book and tell whether or not the text will be a good match for your child. This anthology was compiled by Joanna Cole and Stephanie Calmenson. Be sure to check out the companion book: Ready, Set, Read! The Beginning Reader's Treasury. Another great book for early readers to build fluency with—Oliver by Syd Hoff. A classic, funny and charming story of elephantine proportions. Its text readability is second grade. Arnold Lobel’s Grasshopper on the Road has a text readability of second grade. Other story collections at this reading level include Uncle Elephant, Mouse Tales, Owl at Home, Mouse Soup and Small Pig. Another great early reader by Arnold Lobel. Frog and Toad Are Friends, a Caldecott Honor Book, has a solid second grade readability. It’s no secret that we have a serious love for Nate the Great, for so many reasons. Nate is my youngest child’s name. Most of the stories in the series are at a second grade readability, and make great first chapter books for those ready for a longer plot. Like I’ve said in the past, there’s a lot of repetition in Nate the Great texts that helps build fluency, automaticity and confidence in reading ability. 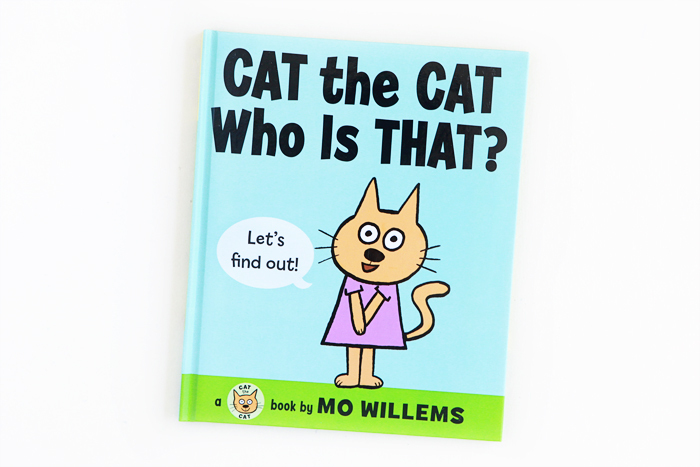 The simple text in Cat the Cat, Who Is That? has a great rhythm to it, and of course, Mo Willem’s illustrations are playful, lighthearted and engaging. Emerging readers in kindergarten/first grade will love the surprise at the end. I include ‘first grade’ in my recommendation because there are a few difficult words in it that we wouldn’t expect all beginning readers to be able to tackle easily. Also, with changing standards in our public school system, children are expected to be reading by the end of the kindergarten year, even though many might not be developmentally ready. Of course, we want our children to learn how to read, but we also need to be patient and keep in mind that each of them will read in his/her own time, given systematic instruction, daily practice and opportunities to interact with various texts and print in their environment. Also, one of the best ways we can produce lifelong readers and motivate our children to become independent readers is to read aloud to them—books that will engage their senses and stoke their imagination, stories that they will revel in, with characters that will resonate with them—books that they will love. Here's to the marvel of the reading process, and to watching its magic unfold in our children. And that we would be witnesses to it and facilitators of it, is truly a privilege.